Investors are looking to the minutes of the Fed's latest meeting for clues to the timing of an interest rate boost. (Bloomberg) — Treasuries were little changed as traders speculated that a report showing U.S. consumer prices rose less than forecast in July won’t be enough to deter the Federal Reserve from increasing interest rates this year. Investors are looking to the release later Wednesday of minutes from the Federal Reserve’s latest meeting for clues to the timing of a potential interest-rate boost. Minutes from the July gathering are set for release at 2 p.m. New York time. Benchmark U.S. 10-year notes yielded about 2.2 percent as of 8:47 a.m. in New York, according to Bloomberg Bond Trader data. The 2 percent security due in August 2025 fetched about 98 1/4. The consumer price index climbed 0.1 percent after a 0.3 percent gain the month before, a Labor Department report showed Wednesday. The median forecast of economists surveyed by Bloomberg projected a 0.2 percent increase. In last month’s meeting, Fed policy makers said they’d be ready to raise interest rates when there had been “some further improvement in the labor market” and when they are “reasonably confident” inflation is moving toward 2 percent. Futures show traders see about a 50 percent probability the Fed will raise its benchmark rate at its Sept. 16-17 meeting, based on the assumption that the effective fed funds rate will average 0.375 percent after the first increase. 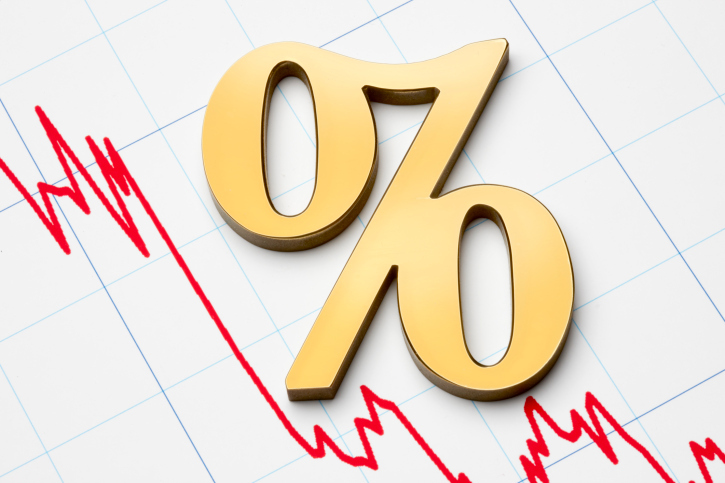 It has kept its key rate in a range of zero to 0.25 percent since December 2008.